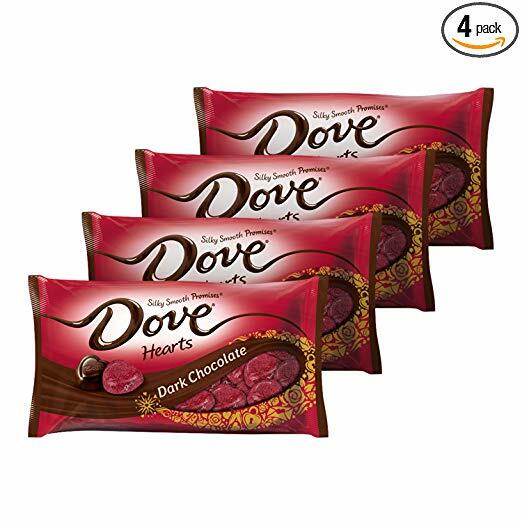 HomeAmazon DealsDOVE PROMISES Valentine Dark Chocolate Candy Hearts 8.87-Ounce Bag (Pack of 4) Only $9.54 SHIPPED! Sweet deal to grab! Great for Valentine’s Day goodie bags too. Grab DOVE PROMISES Valentine Dark Chocolate Candy Hearts 8.87-Ounce Bag (Pack of 4) Only $9.54 SHIPPED!